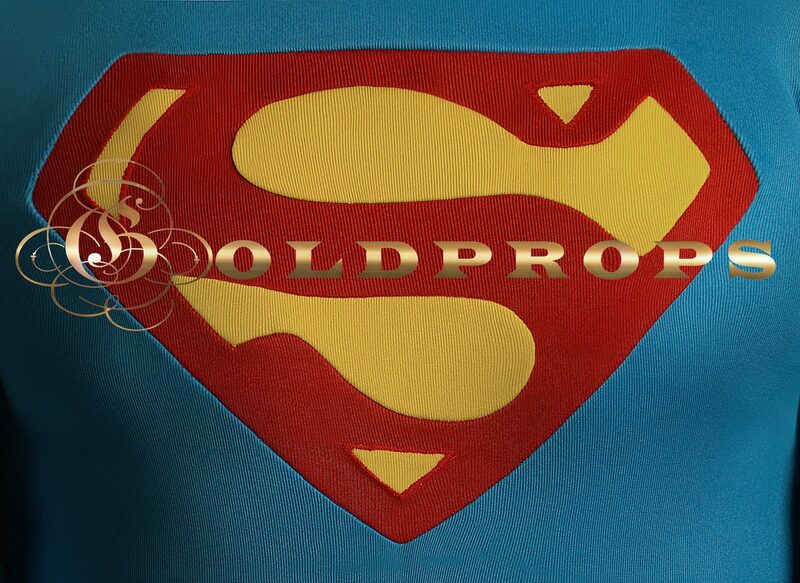 SUPERMANIA is proud to be the permanent host for a sampling of works from one of the most prolific and talented artists influenced by the classic Superman Movies. 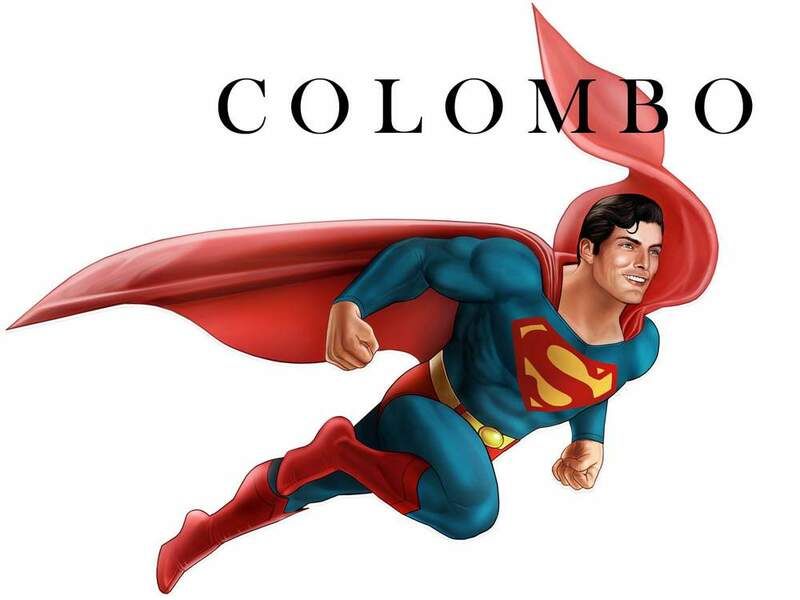 Hailing from Buenos Aires, Sebastian Colombo is a dedicated Superfan whose considerable skills manage not only to forge dynamic pieces of contemporary art but also to breathe new life into his subject, making us believe a man can fly all over again. Sebas has also taken his craft to the next level by sculpting 3D portraits of Christopher Reeve and Batman Adam West while continuing his life’s pursuit of creating the ultimate screen accurate Superman: The Movie costume. Sourcing fabrics as close a match to the originals as possible, the project has been aided by a visit to the Propstore’s main facility where Sebas was able to examine one of the original suits intricately and obtain all the measurements and colour matches required to fashion the ultimate replica. 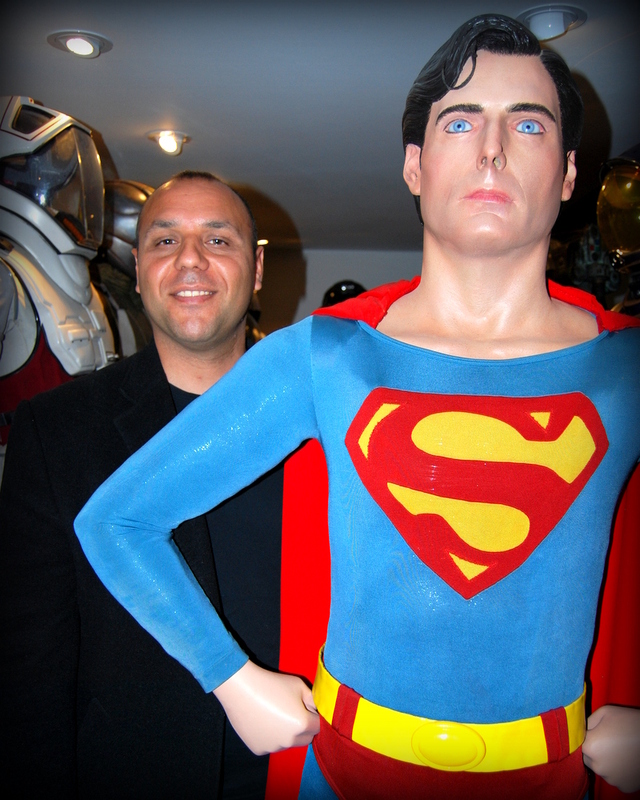 Sebas with an original Superman: The Movie costume at the Propstore office, 2013. Sebastian – Thank you so much for taking the time to answer some questions for the readers of SUPERMANIA – can you first give us a little history about yourself and your origins? Firstly, my thanks to you Martin for be always showing interest in my projects and supporting them. 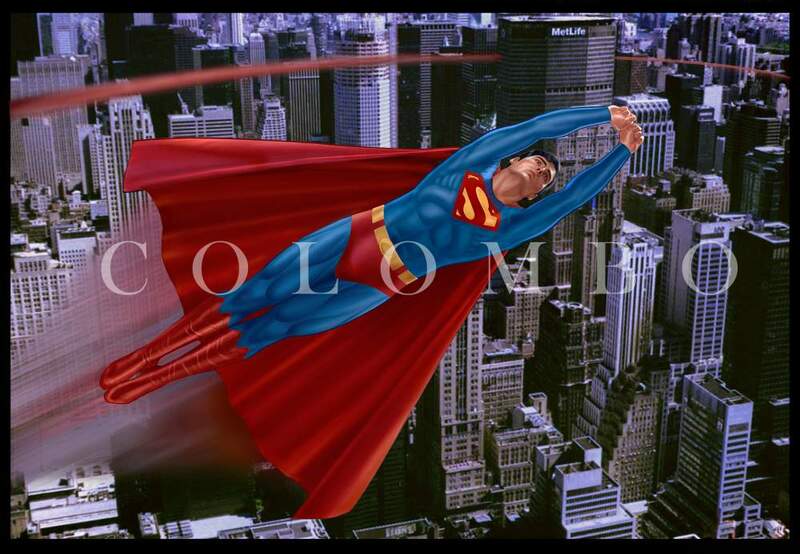 I was born in Buenos Aires, Argentina in 1976, so Superman The Movie and myself were gestating simultaneously! 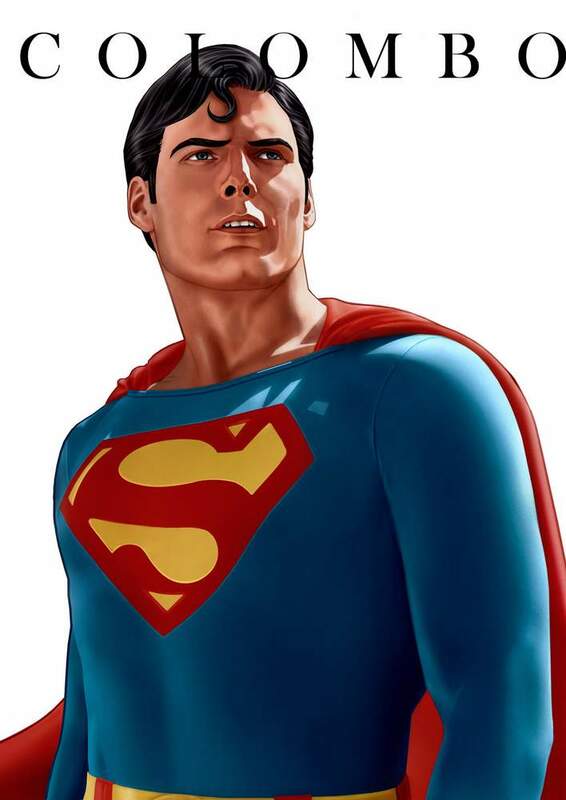 The Image of Chris Reeve as Superman was one of my first memories, in my young mind, the man I saw on screen was Superman for real. 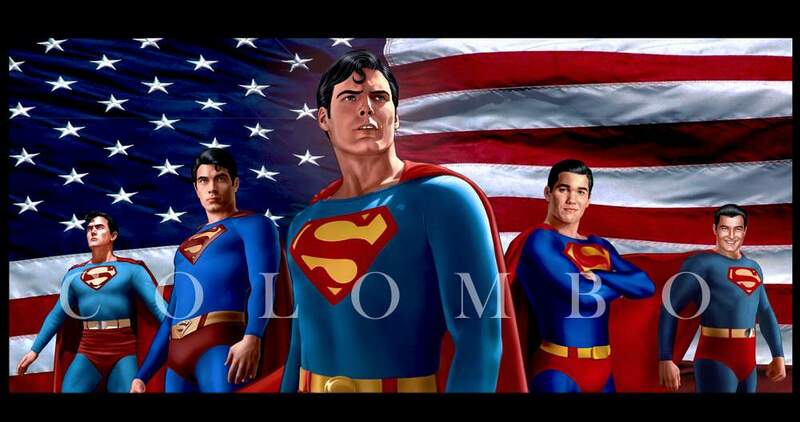 My father always bought me Superman and Batman comics since I was young, so the page, the Superman movies and the Batman TV Show all contributed into making me what I am today, a passionate artist influenced by the superheroes of my childhood across all media. 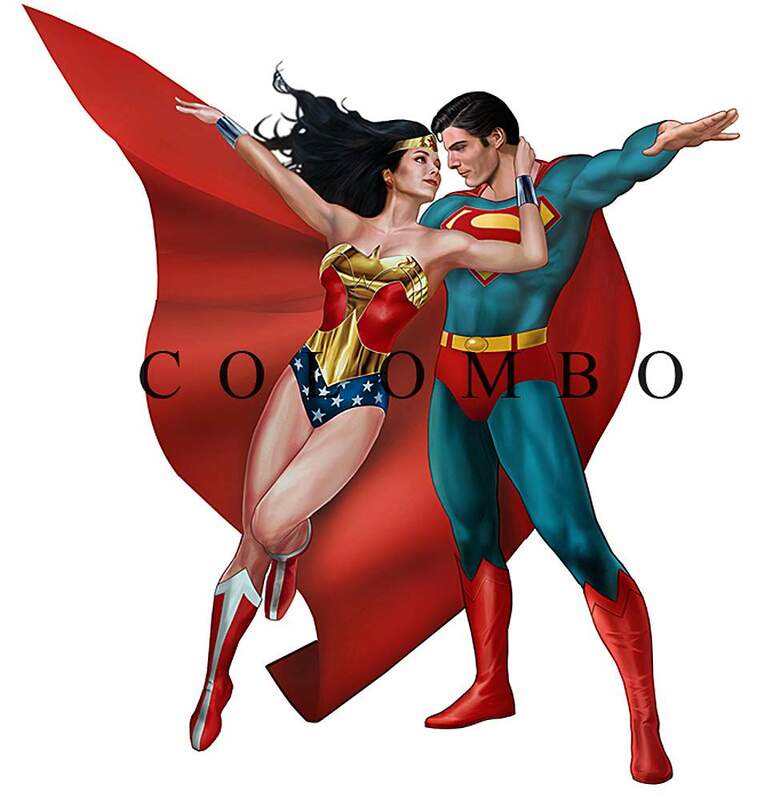 I love to draw, sculpt, retouch images and make the costumes that made such an impression on me. When did you discover you had artistic talent and how did you explore it? What were your earliest inspirations? I always drew just because I liked it but when people started saying more and more that they liked my work I started to listen. As I started to develop I submitted some examples of my work to a publisher called PERFIL in Argentina to try and get the job as artist on their RAMBO comic. They loved what they saw but as I had no formal training they didn’t think I was ready. Learning to draw was the most difficult thing in the world at the time, as it was very hard to find someone with the skills to teach. I took guidance and inspiration from comics, my favourite artists were Jim Aparo and Jose Garcia Lopez, then in my teenage years I went crazy for Jim Lee’s art. What was your chosen medium and how did the onset of technology affect it? Can you talk us through how a particular piece is produced start to finish? How do you achieve that ultra-realistic look? I always used pencil until I asked a friend who was a talented painter to colourize my work. I had opportunity to showcase my work at Comic Con in 2005 and got a lot of compliments from independent publishers but was met with indifference by DC and Marvel. Another artist friend said I should try doing my own colour so I experimented and found my style. 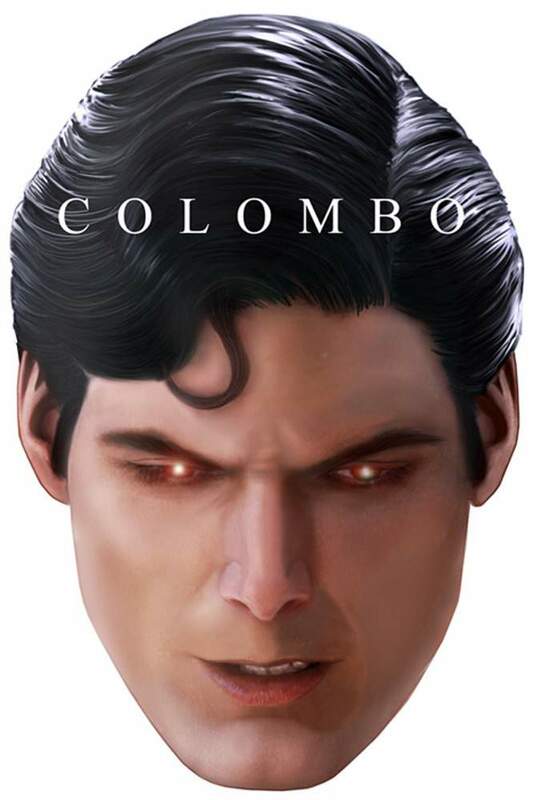 I always loved the realism of Alex Ross so tried to use similar techniques but was always limited by the supplies available in Argentina. Some time before 2005 I was working a lot on restoring Superman photographs using Photoshop and caught the attention of Jim Bowers at Capedwonder.com who wanted to put them on his site. I later applied all that experience to colourize my art. I’ll firstly sketch out and paint a piece by hand and then use the same technique for retouching photos to achieve the realism I want. Of course I use photo reference to get it looking so lifelike, but unlike Alex Ross (famous for using his own photo reference) I had to rely on existing images. I hope to be able to create my own in future. Now I own a tablet I use that to get even more realism into my art. I begin by making a quick sketch of the pose I want and then search for photo references, starting with the head. 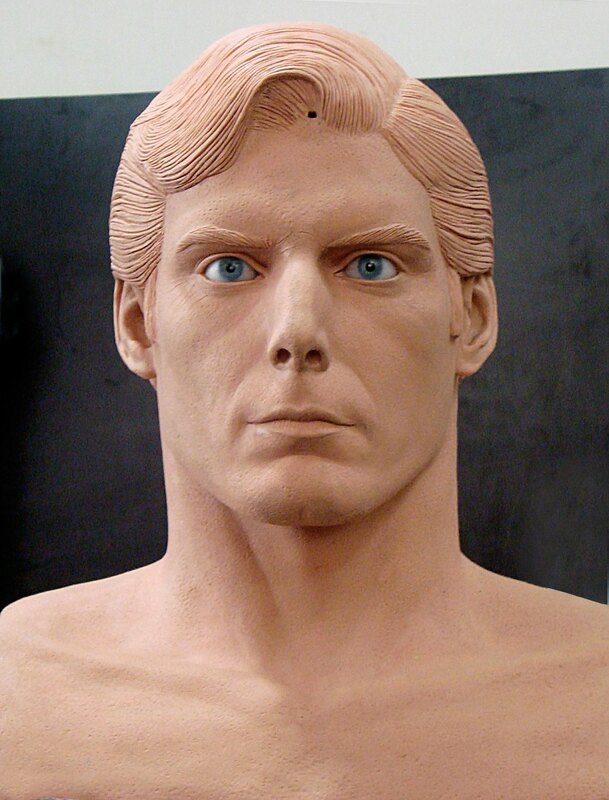 I’ll then work the body around it as having a completed head helps influence a more naturalistic body. I do all of this with photo references next to the drawing, taking colour samples or anything else I need. When the piece has taken shape I adjust all the colours, shadows and lighting to give it the final punch. Do you have a favourite piece of your own and why is it so special to you? What does it represent? ‘The Reign of the Superman’ is my favourite, and seems to be for of lot of fans. 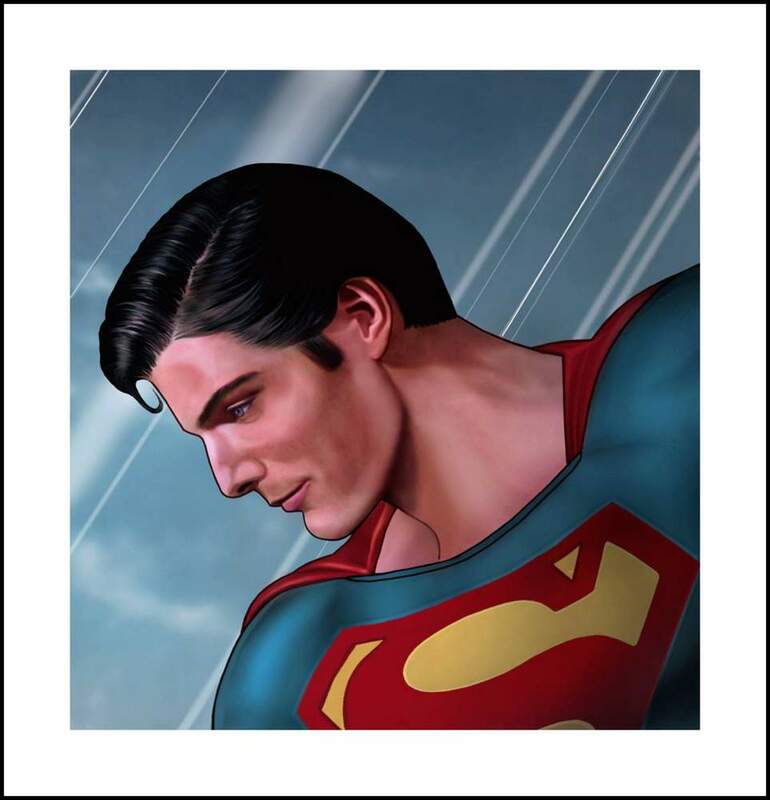 There’s a giant print of it in Metropolis, Illinois where a lot of fans and even celebrities like Dean Cain take photos under my illustration of him as Superman. How is it that somebody of your talent isn’t working in the comic book industry? Did you prefer freelancing and did you ever submit work to any comic companies? What was their reaction? The big publishers don’t accept unsolicited art and unfortunately I don’t know anybody in their circle so it’s harder now than ever, even if they like your stuff. I have never stopped trying to break through. Maybe by now the industry knows my work and for whatever reason don´t like it. I’ve had feedback from Warner Bros. to say my work ‘Needs to be perfected’ for example. One time I met Joe Kelly, a writer from DC and he showed my work to his editor and they said the same, my art needs perfecting and to try different things. Only McFarlane toys like my work, and I would’ve happily gone to them but didn’t want to relocate to another country. 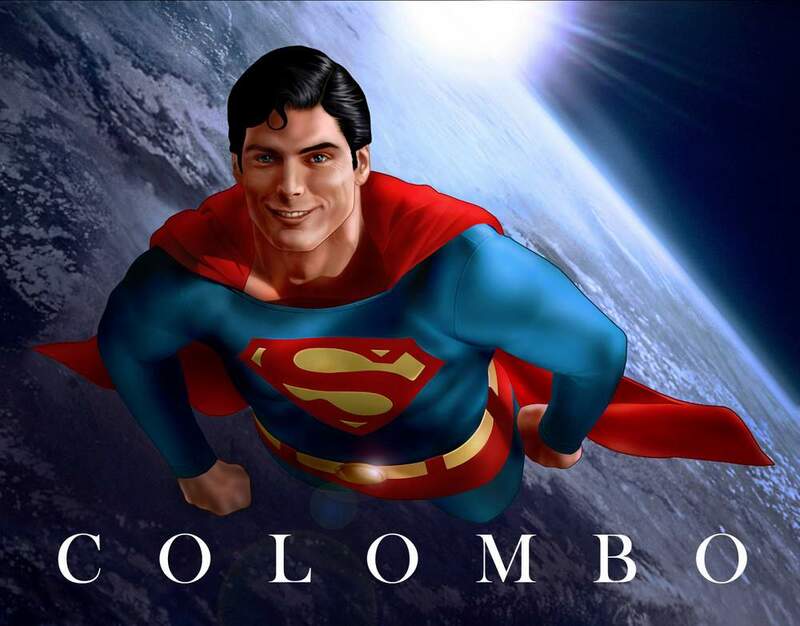 And so to Superman. When did you see the movie first and what was it that resonated with you so that it became the main focus of your artwork? 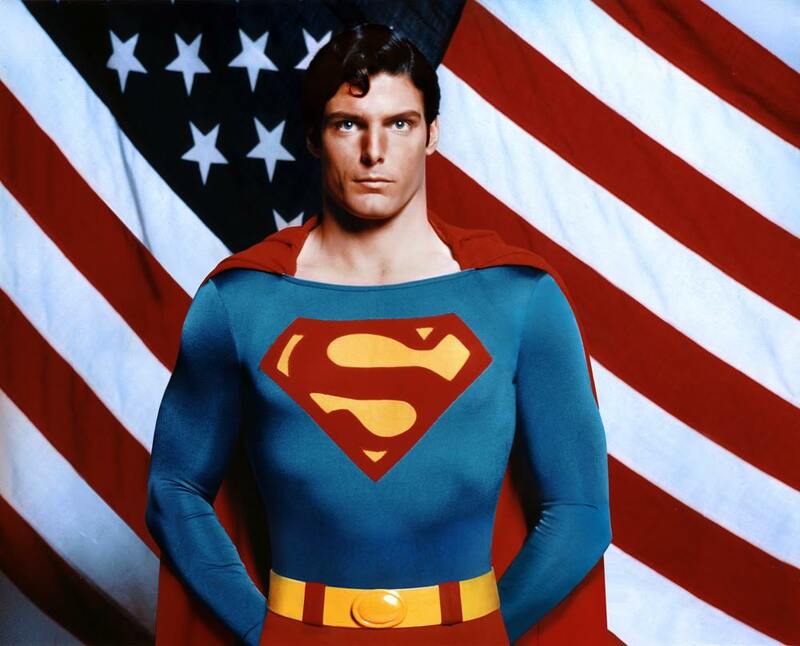 What was it about Christopher Reeve’s interpretation that inspired you? I was 3 years old when I saw Superman: the Movie for the first time. 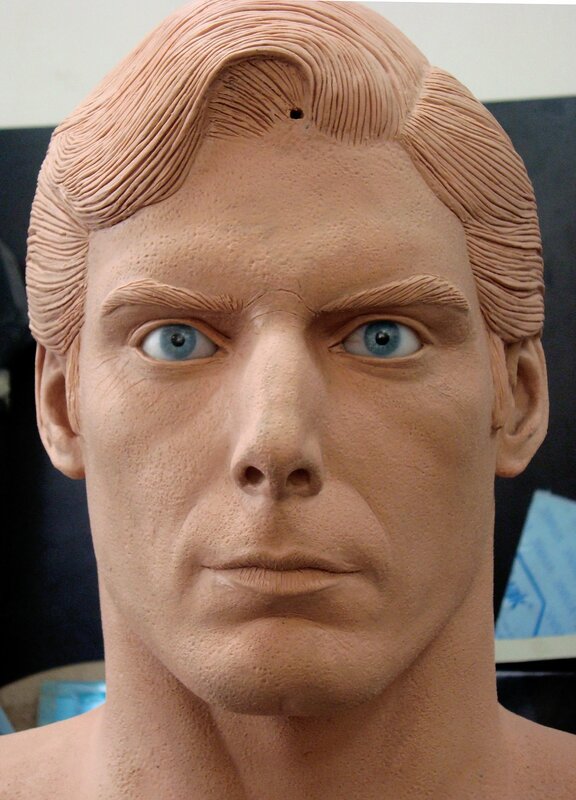 It took years for me to understand Christopher Reeve was an actor and that Superman wasn’t for real. For me, Reeve was unsurpassable. His successors are great and I love what they’ve done with the part but If I could create magic I would still have Reeve playing him today. I dream of ‘Man Of Steel’ with Reeve in the new costume supported by all-new digital effects. Some folk say it would never work but in my imagination its awesome. 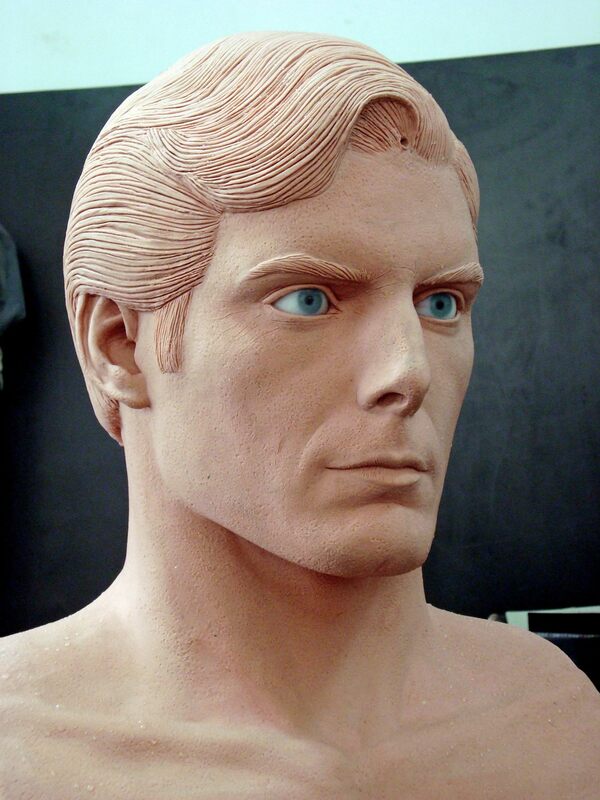 So if you ask what inspires me it’s the potential of a million projects spawned by an immortal Christopher Reeve. 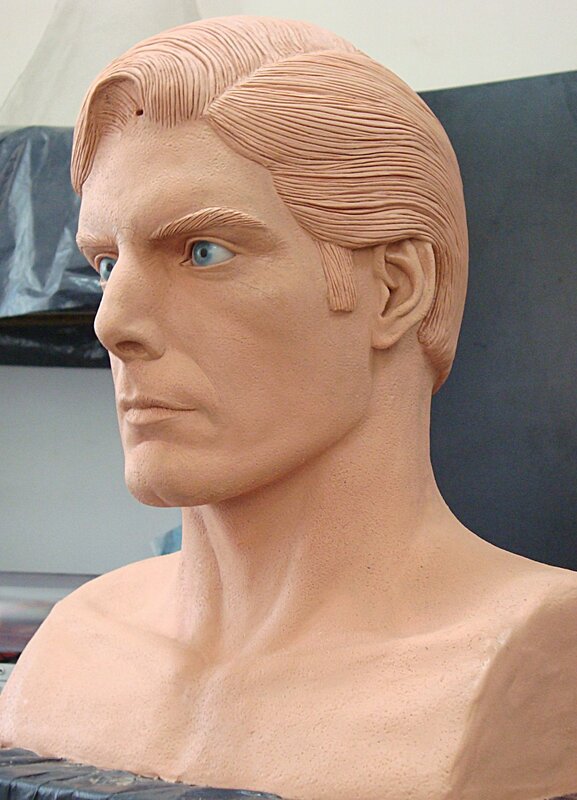 Christopher reeve has an infamously difficult likeness to capture yet you seem to be able to nail it with your art consistently and from every angle. 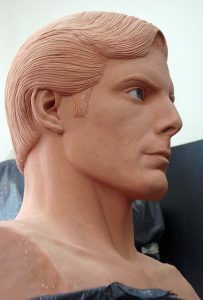 What are the distinguishing features to concentrate on and what makes a good interpretation of his likeness? 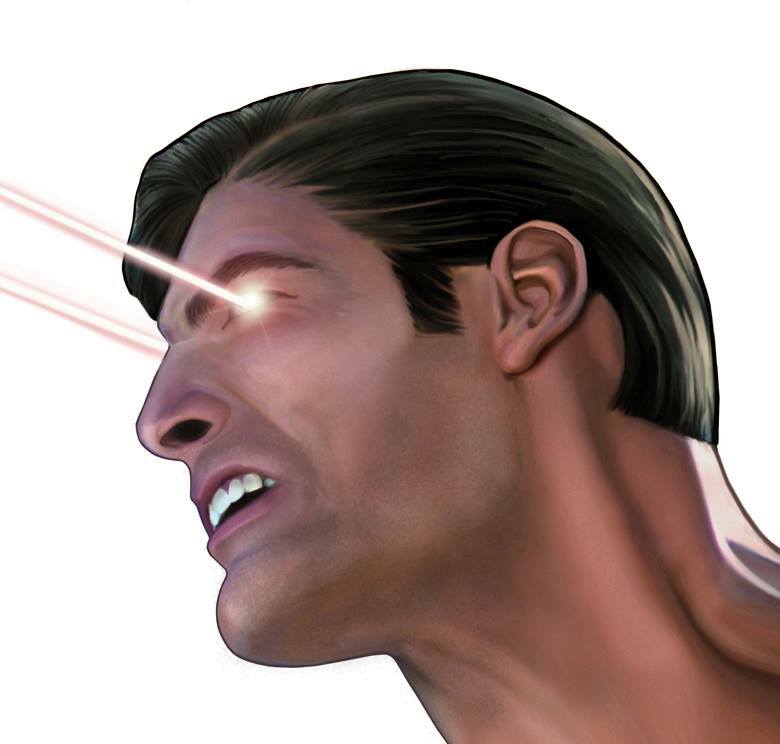 It’s not difficult for me at all as I’ve memorized every detail of Reeve’s Superman image. Over the years I’ve tried to explore this in different media while trying to amass a library of reference so I continue to refine his bone structure and expressions. 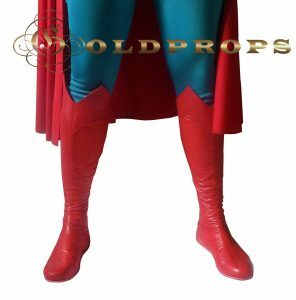 You took your talents to the next level by working with Action Costumes to produce the ultimate replica Superman costume a few years back. What is it about that particular costume that has compelled you to spend years of your time looking for the actual fabric used in the original? 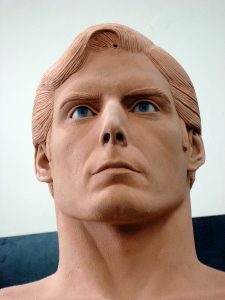 The early replicas by Southern Wings and Action Costumes were groundbreaking. 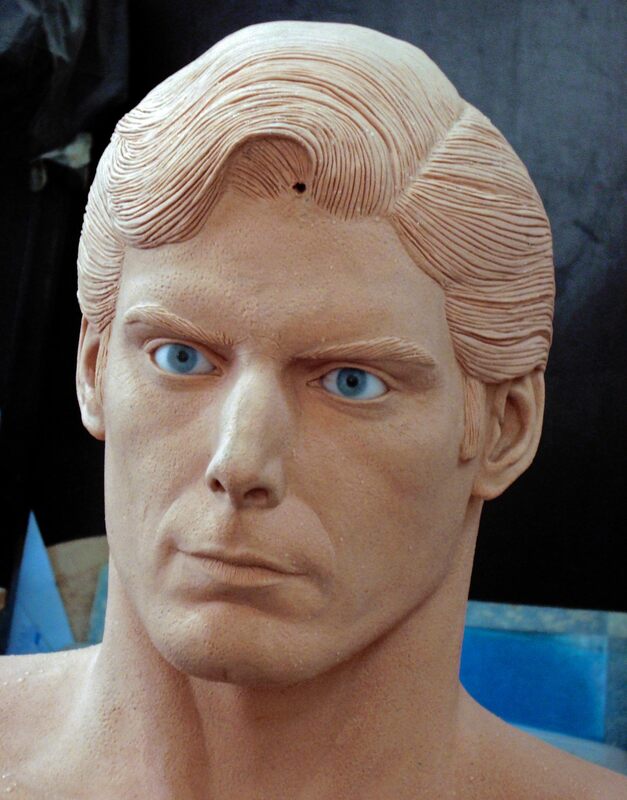 Up to that time nobody had even attempted recreating a Reeve costume but to my eye, there were too many inaccuracies and they were all made from store bought lycra which I knew wasn’t correct. 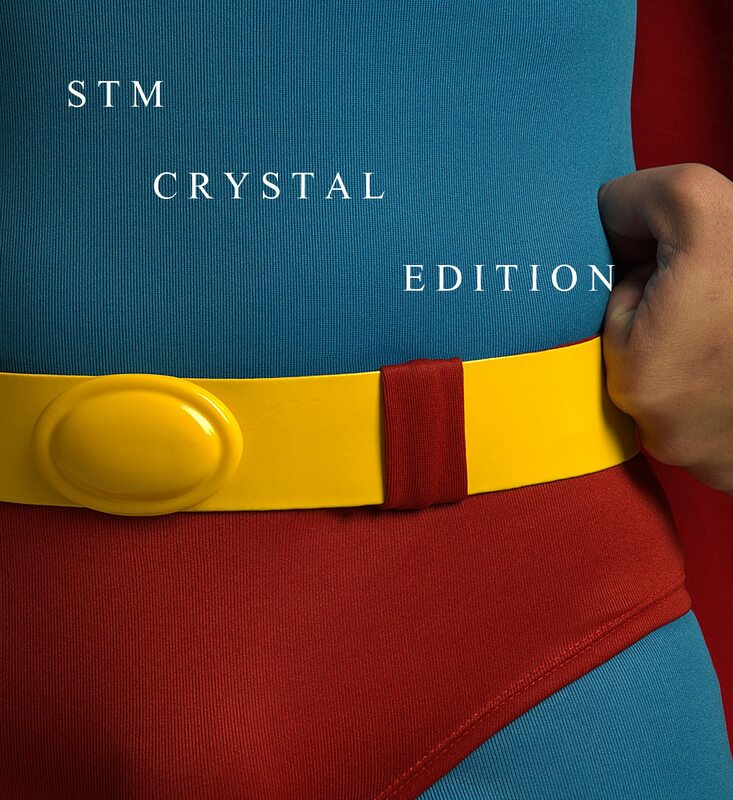 Having done my research, I knew the real stuff was unique so spent years looking for it. Before I got in touch with Action Costumes I found a suitable match – a fabric with shine and texture exactly like the genuine article (which I had seen for myself at the Propstore offices). All I had to do was match the colour. By then AC were already onto making their Golden Edition and their colours were good but still not quite right. 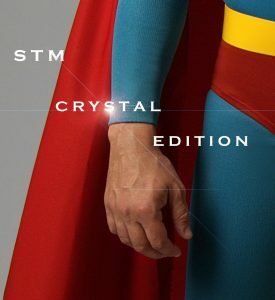 Having seen an original costume (something to date no replica manufacturers have done) I know all the details well and how it should look and feel. You also famously made a completed Christopher Reeve Superman bust using a studio-made lifecast as the base reference. Talk us through how you built it and what had to be done to bring it to your standards? I collaborated with Action Costumes to sculpt a 1:1 portrait head around a copy of Christopher Reeve’s lifecast. I did this in modelling clay but it soon became apparent my standards were different than theirs and everything they did I had to re-do. It was a battle and I was not happy with how it turned out but regardless it was finished and ready to be molded. As luck would have it the bust fell on the floor and we had to start all over again. I told them if they let me finish it by myself I’d have a new one ready in a month. I already had the skills and all the reference I needed to make the bust exactly as I thought it should be. My goal was to emulate the portrait on the USA flag studio shot. I retouched and proportioned the face, reworked the eye holes and sculpted the hair. 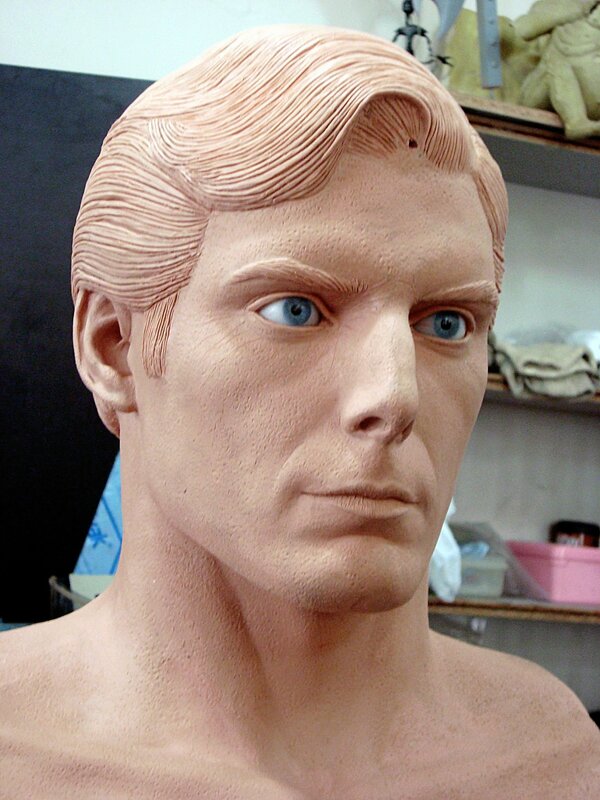 AC then did a poor job of adding skin texture and wrinkles. The bust turned out well enough, but there’s still so many things that could’ve been done better. 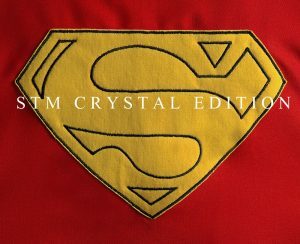 ..
You travelled all the way from Buenos Aires to London to see an original Screen-worn Superman costume. What motivated you to make the trip and what was it like to finally see the suit up close? What are your memories about the visit to the Propstore and what was it about the costume that surprised you most? 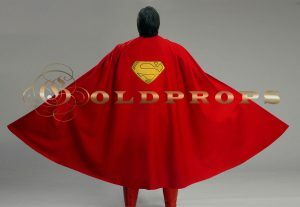 One day a friend of mine called Walter Armada said I should have a Superman suit. From that day on I have never stopped trying to create THE most accurate replica ever and it has taken me years. Seeing the suit for myself up close was just what I needed to make it 100% right. When we were given access to it I was so incredibly excited I couldn’t believe it and wanted to spend all the time with it that I could. The colours of the suit were the biggest surprise, the blue not as turquoise as I’d imagined whereas the red and yellow were much darker. The fabric itself also wasn’t as shiny as I thought but when you throw light at it you can see that unique metallic element. The fabric of the cape was also very interesting – when I touched it felt like a light wool scarf – the red colour was a much sharper red than the rest of the costume. It was a great feeling when the fabrics I’d brought along to match were very, very close in texture and now I had the colour match too. My memories of the Propstore visit are magical as we not only saw the Superman costume but Michael Keaton’s Batman costume and even Terrance Stamp’s General Zod boots among dozens of others. It’s an incredible place with treasures right up to the ceiling – I really hope to go again someday. 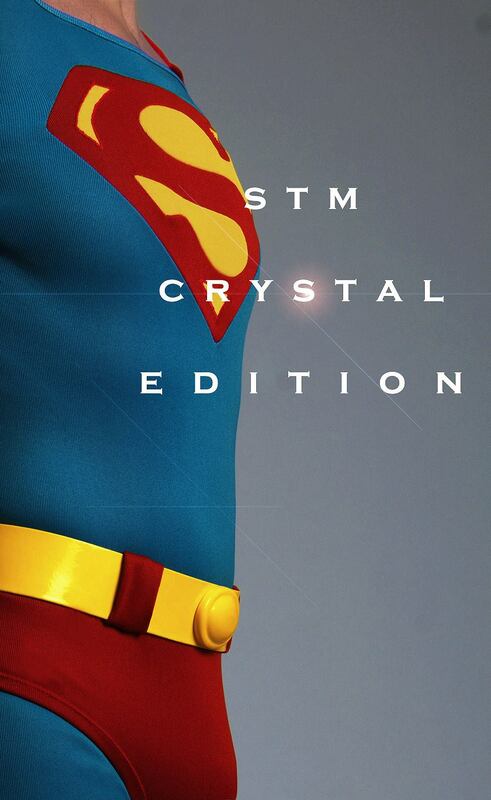 You are now making Superman costumes for yourself and you claim your ‘Crystal Edition’ is the most accurate yet. 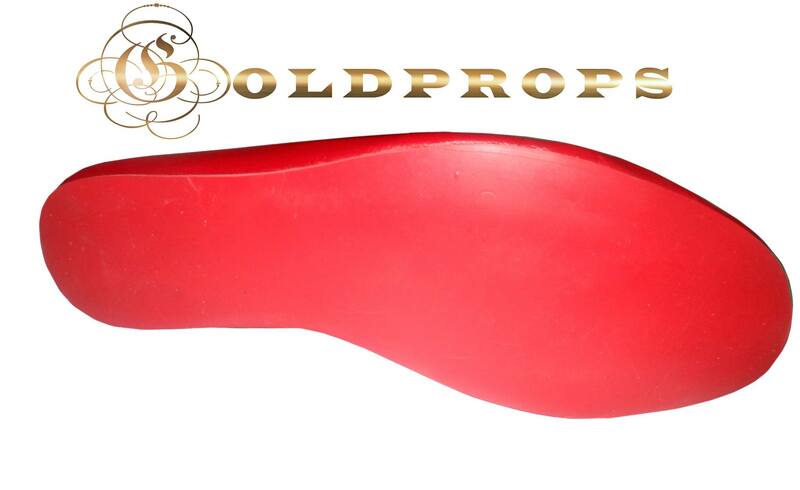 Did you finally find a fabric you were satisfied with and what details in particular make your replica so definitive? Firstly, thanks to you Martin for providing the name for this replica suit! Yes, I have a great match to the fabrics, they have the same colour and texture. I obtained the measurements from the screenused costume also as I’m always trying to perfect every detail. I will always find minor things I wish to improve but what I’ve just produced is as perfect as it gets in my opinion – remember all the original costumes were unique – no two were the same. 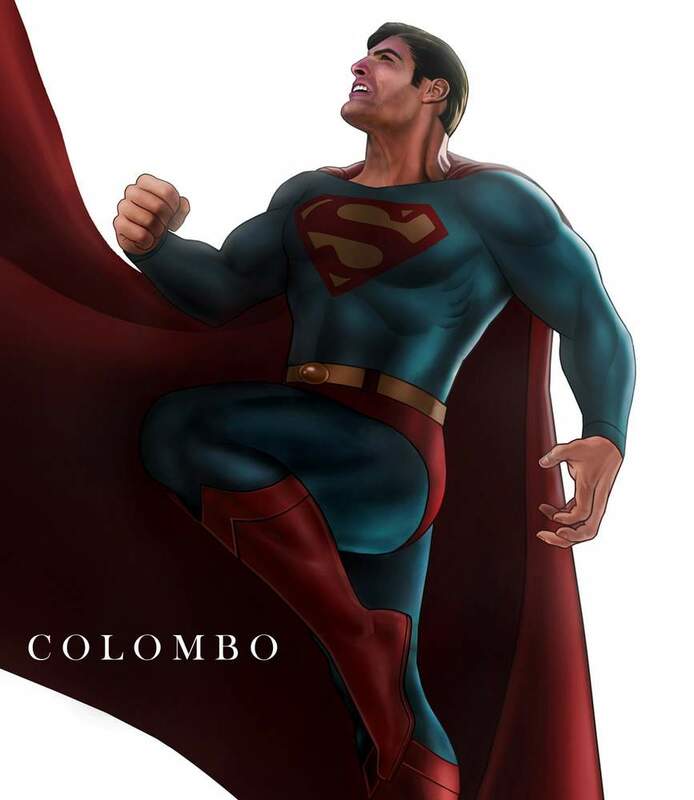 The details are what makes the suit my definitive version – my seamstress is the best in Argentina and has even worked with original Superman costume designer Yvonne Blake on a film project so there is a special connection there. 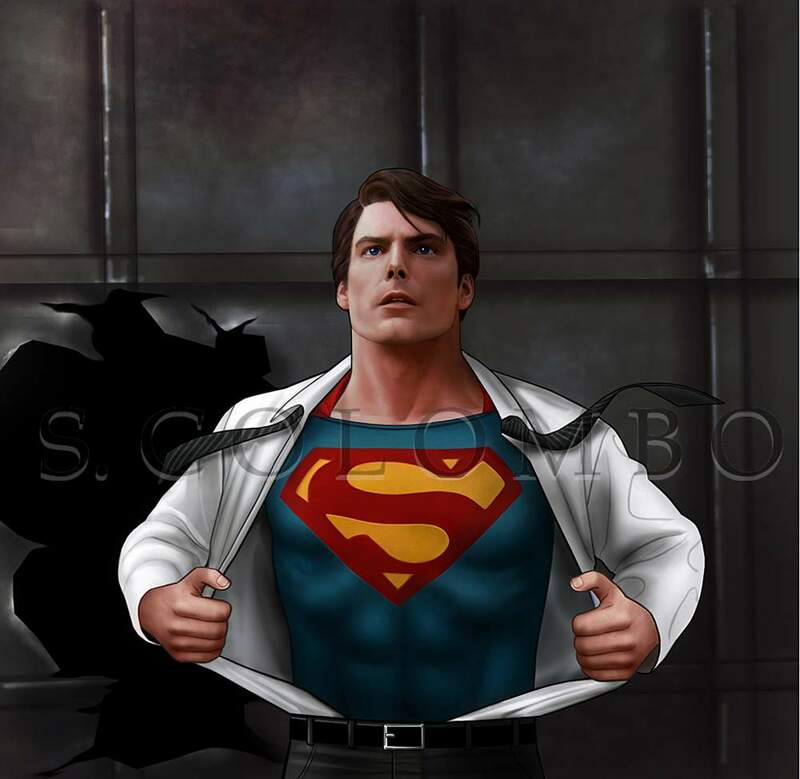 You also possess an uncanny skill in Photoshop and have done a fantastic job restoring and updating many classic vintage photos from the Superman series. Can you detail your approach to this and what are the prime considerations? Do you have a favourite portrait and could you share it? My favourite photos are all the promotional images in shot in studio or on location in New York. I would just love to have them all in HD quality and restore them to make them look fresh. 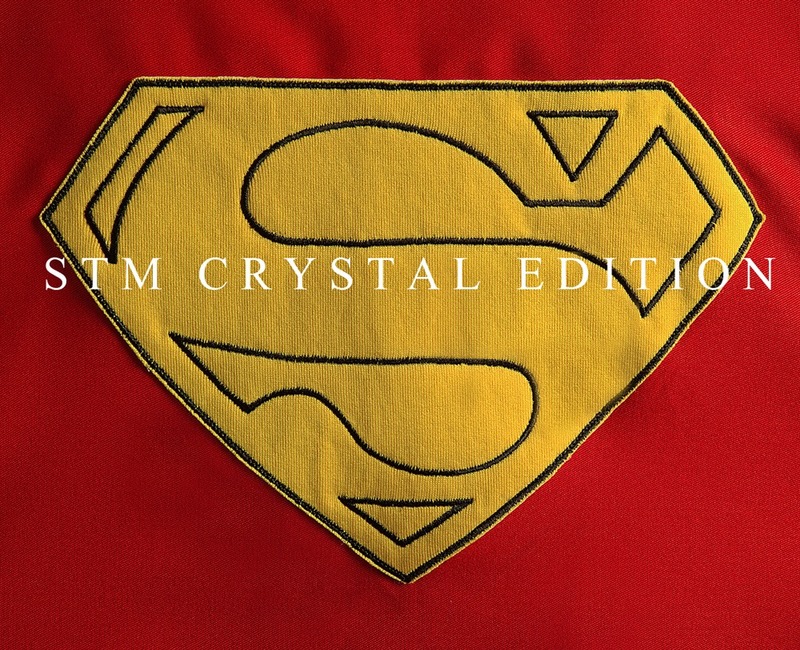 I think maybe my perfect dream job would be to create an entirely new line of merchandise based on the classic movies but as it’s the property of DC and WB that seems unlikely so right now I’m happy to continue making these personal projects. 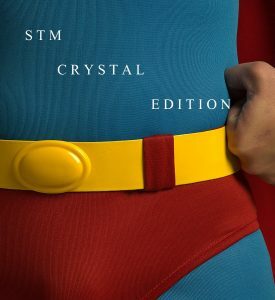 Finally, what plans for Superman do you have in future? Can we look forward to more original artworks and maybe a full-size replica statue? 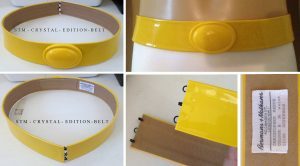 Do you intend to offer any variations of your costume and how can interested parties contact you if they are interested? Sebas, thank you very much!! Don´t thank me Martin, we are all part of the same team!